Leader in Southern Italy in HVAC market for design, manufacturing and distribution of heating, ventilation and air conditioning systems since 1995, Thermocold provides innovative solutions through a market-oriented approach in terms of environmental impact, CO2 emissions reduction and energy efficiency, for residential, commercial and industrial applications. Creativity, technological innovation and focus on research are the key principles that guide Thermocold in the realization of sustainable comfort for the wellness of people, by proposing products aimed at maximum customer satisfaction. From March 31, 2017, Thermocold becomes a member of the Ingersoll Rand brand family, an American multinational group that excels in development of solutions to improve quality and comfort of air in homes and buildings. Thermocold Group from the beginning. 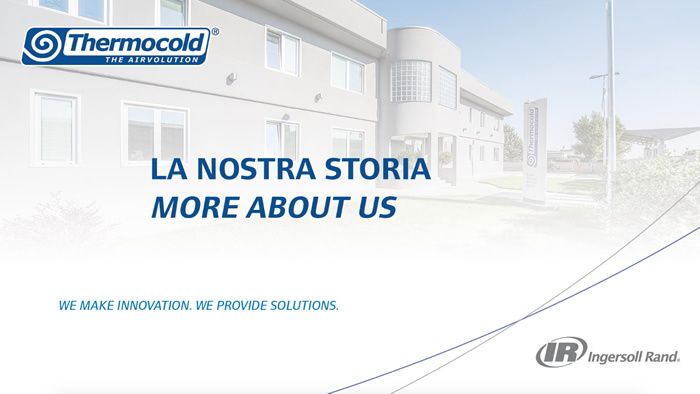 The basis for the new Thermocold was created thanks to a meeting between some businessmen from Veneto and Thermocold Property in Bari in light of a common project with both parties having the same purpose. 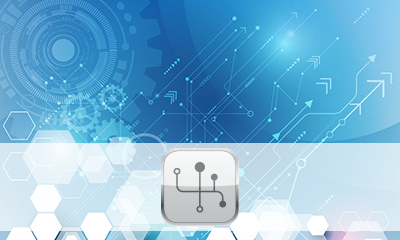 The professional background of human resources under the new organization, coming from the most qualified companies in the industry, allows strategy planning and intense investments aimed at providing the production structure with the most advanced production and testing systems, which still have very few corresponding similarities in the European production scene/context. the formulation of a plan for business image coordination and communication suitable for a full recovery and affirmation of the brand. Thermocold is the first in the European market to propose a complete range of chillers and heat pumps up to 100kW with scroll compressors. 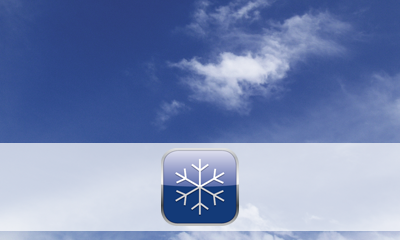 Thermocold obtains the ISO 9001 certification, later renewed according to ISO 9001:2000 requirements (Vision 2000). Thermocold is the first to introduce a new and innovative multifunctional product range, for the simultaneous hot sanitary water production, and patented ENERGY and QUATTRO product lines. The first MULTISCROLL "MODULO Z" product line for cooling capacity up to 200 kw is created. Thermocold anticipates market trends and clearly focuses on new refrigerants with R134a chillers "Ewa" and with R407C "AWAE". The complete Thermocold’s product range is available with eco-friendly refrigerants, R134a and R407C, prior than most competitors. The innovative plate heat exchangers are introduced for all cooling units up to 200 kw. an attention and sensitivity towards all processes which bring meaningful benefits to the reduction of environmental impacts in consequence to production activities. Thermocold is the first company in the market to launch the “MODULO P PROZONE” series, with cooling capacities from 160 to 400 kW, equipped with plate heat exchangers, which are the first ever products using the R410A refrigerant. At the same time the series of DAW pool dehumidifiers is proposed. ENERGY New Release 2002 the total recovery poly-functional cooling group, patented since 1996, available in a range of cooling capacities up to 350 kW, with significant thermodynamic and energetic innovations. Thermocold obtains the Vision 2000 and PED certifications. The innovation and expansion process of MULTISCROLL range of products continues, with the extension of cooling capacities range for AWA ENERSAVE onto the market, the first Italian line of water condensers and heating pumps equipped with scroll multi-compressors with very high-performance in terms of consumption and able to provide up to 820 cooling kW. With the introduction of the “ROOF AIRE HP” new line, packaged units for outdoor installation Roof top type for very crowded rooms, Thermocold gets into the sector of direct expansion and proposes a new thermodynamic recovery system for cinemas, multiplex, shopping centers. At the MOSTRA CONVEGNO exhibition, “ARTÈCH” is introduced, a R410A air-water chiller, with cooling capacities from 100 to 202 kW, with a revolutionary design. ARTÈCH wins the first prize for the HVAC&R Innovation, organized by Costruire Impianti magazine, in the air-conditioning products category. The experience in the field of multifunctional groups QUATTRO leads to patent the new concept of six tubes systems with patented line SEI, six pipes machines that can simultaneously meet 3 different uses. At the same time the ARTÈCH range is widened and new models with cooling capacities from 15 to 25 kW, R410A refrigerant and scroll compressor equipped with an inverter for continuous modulation of the provided cooling capacity from 100% to 30%. The famous range of multifunctional cooling units ENERGY and SEI grows: from the beginning of the year a new patent is added to the previous two. The new high energy efficiency versions SEI and ENERGY HWT with twinned scroll compressors are able to produce hot sanitary water at 70°C for creating anti-Legionella thermal cycles, very important in residential and hotel sectors. Because of the increasing need to use renewable energy sources, the new heat pump series for geothermal applications, EASY GHP and CWC ENERSAVE GHP, are created. EASY CHANGE: possibility to change every basic module from one version to another one. Thanks to relevant experience in the petrochemical, natural gas and oil and gas platforms sectors, the ATEX LINE is created, purposely for all applications in explosive atmospheres produced by these type of industrial plants where particular attention is required. This line grows with the introduction of cooling units, condenserless units, compressor units, remote condensers and special air handling units, which fully comply with ATEX regulations. This line is purposely made for all industrial plants where anti-explosion devices are required. 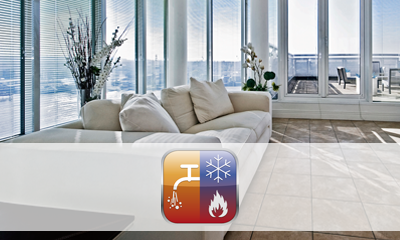 The new HOMETECH line is created, representing the best Thermocold technology for cooling capacities lower than 40 kW. It includes multifunctional heat pumps with total recovery for producing, even simultaneously, cold water, hot water for heating purposes and hot sanitary water with air to water and geothermal systems. The Hometech line anticipates the new trends in alternative energy use and CO2 emissions reduction for residential heating with heat pump. The experience acquired with the HOMETECH line, is an incentive to a more decisive exploration of new technological boundaries in renewable energy use, to fully meet the growing demand of comfort and wellbeing, and primarily of sustainable growth, energy saving and non-renewable energy resources conservation. New ideas and new horizons start emerging in the use of ecological refrigerant (R744a), energy improving of thermodynamic cycles (high COP > 4), with products and systems environment friendly. Massive investments are made for researching and realizing non-polluting products, according to the dictates of VISION 2020 and the Kyoto protocol, and also through sustainable industrial policies. Thermocold meets future market needs and the sustainable environmental policy requirements by launching HEATING SYSTEM, new systems for heating which concentrates the most modern and advanced technologies and refrigerant gas with zero environmental impact like CO2. The flagship of the HEATING SYSTEM are the multifunctional heat pumps with 2 pipes with high COP (over 4) able to supply hot sanitary water and for uses up to 80°C suitable for cold weather up to -40°C, heat pumps with CO2 (R744) with COP 5 and hot water at 90°C, multifunctional heat pumps for residential applications that ensure regular operation even with temperatures up to -20°C. Following the major innovations and important patents in the 4-pipes multifunctional systems field, MULTITUBE SYSTEM is conceived. This system concentrates the highest technology in the 4-pipes multifunctional units field. The air renewal in residential and commercial applications, as well as the air quality and purity, represent an established standard in the field of total comfort. The new ECOMIXER line, developed for purification and renewal systems, and thermos hygrometric air parameters control, has been designed to integrate with the hydronic air conditioning systems. And push communication and advertising activities with the launch of the E-ACADEMY, AICARR conferences and Thermocold Forum for designers and installers. With the aim to always reach excellent results in terms of performance, the new “Hydronic System” range is launched, even more efficient and innovative. With E-Academy, grow participation in training seminars and on-line sharing information and news. DUO: the innovation at high altitude... at the Mont Blanc. The whole air conditioning system of the new complex ropeway Pontal d’Entreves, Mont Frey and Punta Helbronner, an artwork of world-class engineering, is equipped by heat pumps DUO, able to work with the most stringent temperature conditions. 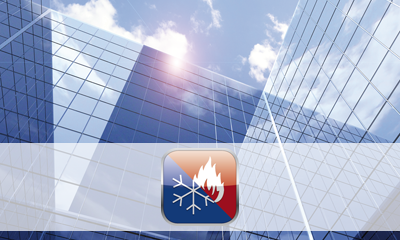 Thermocold achieves Eurovent Certification an important goal as a reliability guarantee for its customers. Thermocold welcomes the great challenges of sustainable design, designing high-efficiency heat pumps, with the use of the natural refrigerant R290 (Propane). starting the new project “thermosel online”, the new selection software, fully online and with a new design and a user-friendly layout. From March 31, 2017, Thermocold becomes a member of the Ingersoll Rand brand family. 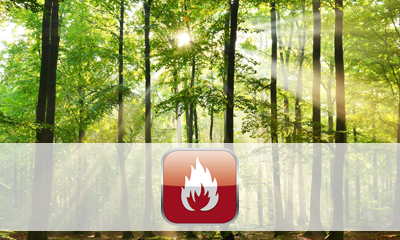 Ingersoll Rand advances the quality of life by creating comfortable, sustainable and efficient environments. Our people and our family of brands—including Trane®, Club Car®, Ingersoll Rand®, and Thermo King®. The American company has been working with Thermocold for several years, working to innovate new products and serve customers alongside: with the acquisition, Ingersoll Rand aims to strengthen the portfolio of products in order to exploit the vast market opportunities In Europe and expand the distribution of Thermocold technologies to other parts of the world where demand grows rapidly. Thermocold introduces a new range of air-water 4- and 6-pipe units equipped with Scroll compressors and available in two different efficiency levels, designed to meet fully the needs of customers. It expands and complete the products portfolio through the development of Full inverter chillers, heat pumps and multipipe units boasting the widest range on the market.